Music on the Corner Live Music! You are here: Home / CBDA News / Latest News / Music on the Corner Live Music! 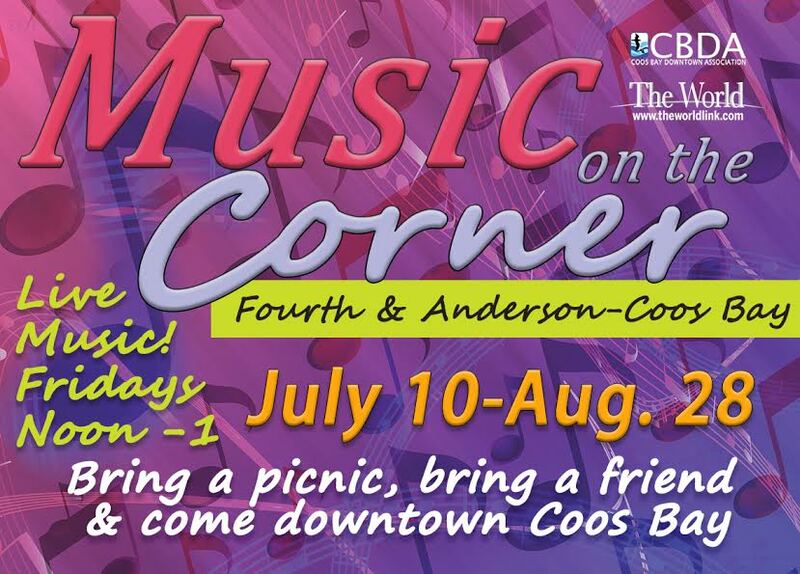 Every Friday at noon July 10 through Aug. 28 there will be Live Music on the Corner at Fourth and Anderson. Get downtown a little early to get lunch to-go or bring your own and you can set up your lawn chair or picnic blanket. July 10: A little a cappella harmony to warm us up with Gold Coast Chorus and Sea Breeze Harmony Chorus. July 17: Some powerful sound by Bay Area’s up and coming Lab Band musicians. July 24: Rhy and Jackie Thornton will play lively Celtic gypsy jazz. July 31: Contra Swings — Jennifer Sordyl and Don Berg will make you want to dance with classic fiddle and guitar. Aug. 7: Swing Jazz Project — Don Berg and Terry Carr play and sing classic swing to ’80s pop. Aug. 14: Finavarra — Bruce, Mrk and Alan deliver some Irish pub tunes. Aug. 21: Oregon Oldtime Fiddlers will make you feel right at home. Aug. 28: Dale Inskeep with Bill Bartels will play a little jazz followed by another hour of music by Kenny, Rob & Bob with a little folk music and some country flair. 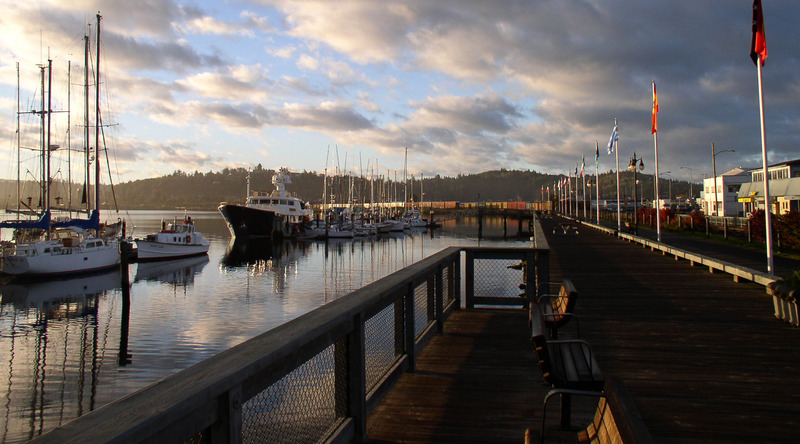 Coos Bay Downtown Association and The World newspaper want you to bring a picnic, bring a friend and come downtown to support our local musicians.